If you want to know how to find these, or any other specific stamps on the Infinite Discs website, you can use the ADVANCED DISC SEARCH which is a button on the top of the website. 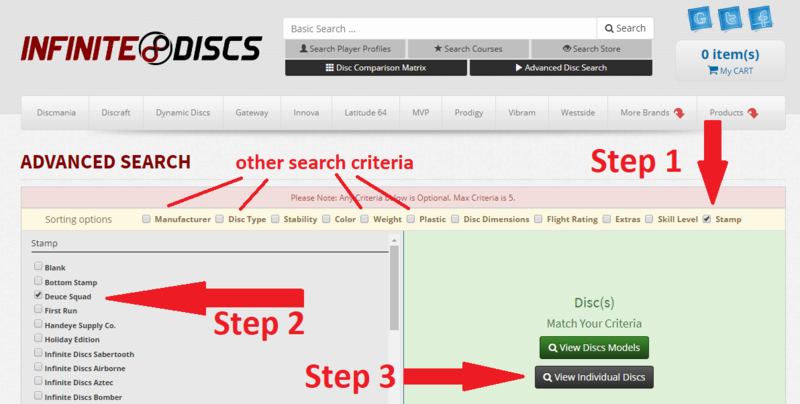 Once you enter the Advanced Search screen, you can search for specific discs using all kinds of criteria. You can select brand, disc type, plastic type, etc. 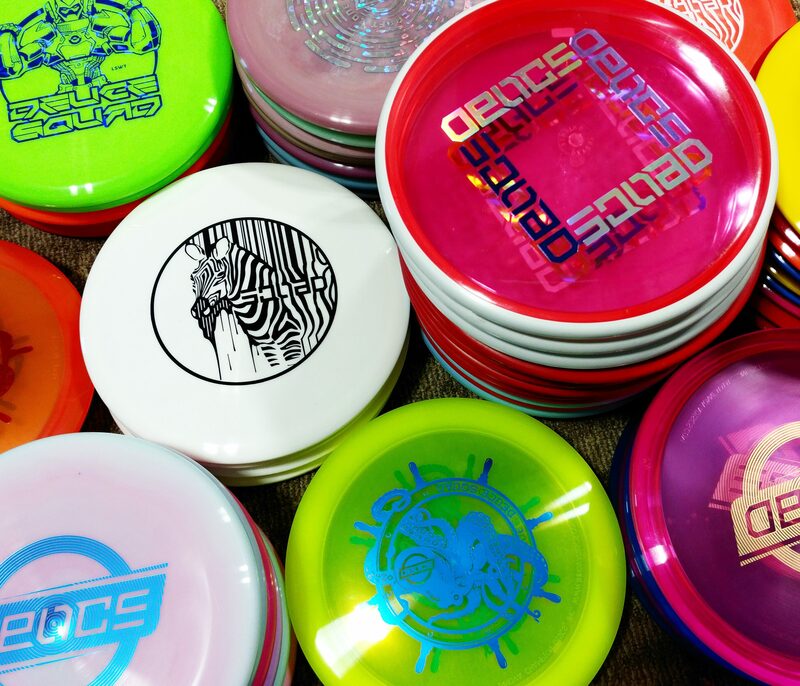 But in our case, let’s assume you want to see all of the Deuce Squad stamped discs. Simply check the “Stamp” box. That will open another window where you can select the stamp name that you want. 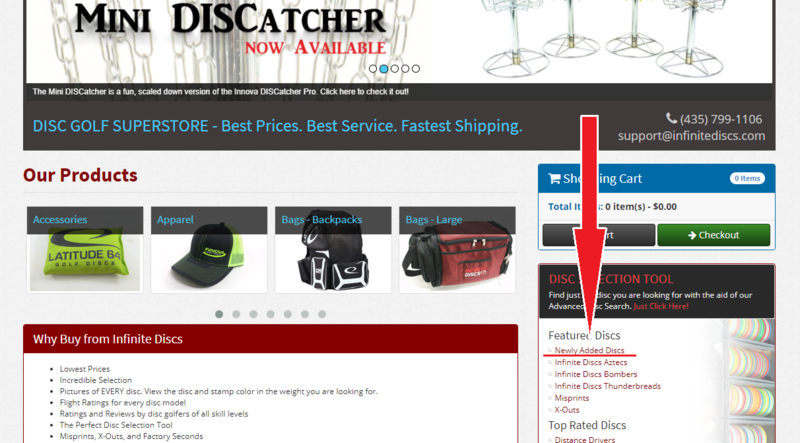 Then click the “View Individual Discs” button and browse through all the discs still in our inventory, page by page. Here is an example of a Deuce Squad stamp search. Then you can browse results and add the ones you like to your shopping cart. Use this search method for all kinds of stamps, disc colors, weights, plastic types, brands, flight patterns, etc. 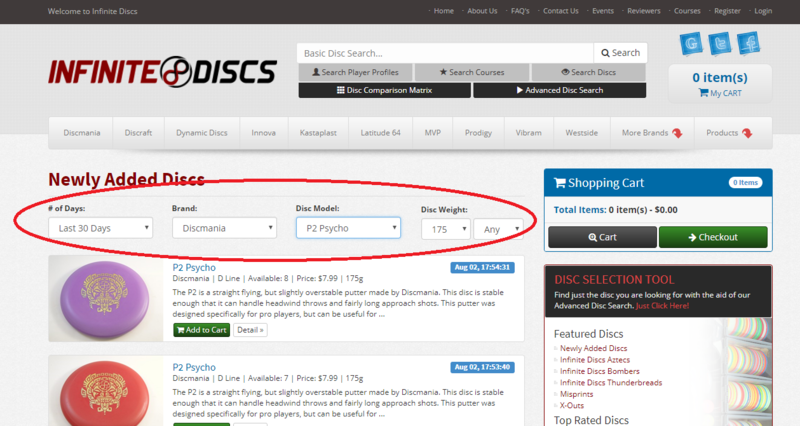 This is one of the most valuable disc search tools on the Infinite Discs website. The Infinite Discs VIP Club has been active since May of 2016. As of December 2017, the club had released 20 special edition, monthly discs, plus several club-only limited editions through the VIP Club Store. It has been a fun ride and the support for the VIP Club has grown as we’ve worked out new features and benefits to the members. If you have not heard of the VIP Club, it is a “disc-of-the-month” club designed for adventurous disc golf players and collectors. You can see the original introduction to the VIP Club HERE. This was the first run of the Undertaker in Titanium (TI) plastic and the silver color was run for the VIP Club. The Defender was a new, overstable, high-speed driver at the time of this release, so we wanted to feature a cool, full-color Dyemax edition for the VIP Club. This was a special order of black discs. Some were more swirly grey, but until this run, there were no black Destiny’s. This was the first run of the A4 in 750 Plastic. Metal Flake C-Line FD’s were hard to find at the time we put this disc out. Since then Discmania has restocked only a few FD’s in Metal Flake C-Line. This was specially-manufactured for the VIP Club with edge-to-edge glow (solid glow disc) which had not been done with a Vamp before. At the time of this release, the Matrix had been featured as an MVP Circuit disc, so we released the VIP edition before the general market release of the Matrix. RPM had never attempted anything like scented plastic before, and they were willing to give it a try exclusively for the VIP Club. The Green Tui featured a stamp with Mr. Caribou. RPM had never attempted anything like scented plastic before, and they were willing to give it a try exclusively for the VIP Club. The red TUI featured Mrs Caribou. We special-ordered half of the Plasma Insanity to be run in black plastic, and the other half in white plastic because both colors were hard to find in Plasma. RPM made a special run of gold Kahu’s for the club and they attempted their first 2-color stamping for the VIP design. They worked out beautifully. 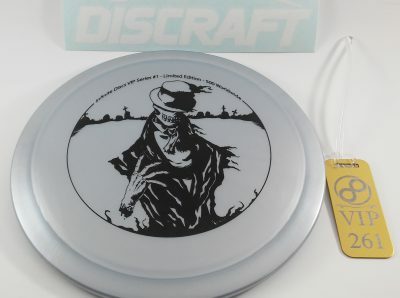 Legacy was attempting their first “swirly” discs and called it “Transitional Icon” at the time. 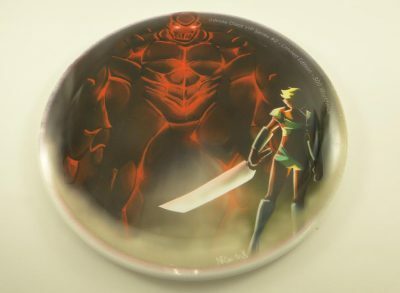 Since the VIP edition Ghost, they’ve made other Swirly Icon discs. This was the second run of Tyrants in a darker plastic, and it turned out more straight-flying than the original, overstable Tyrant. The CD3 had not been released to the public in S-Line plastic at the time of this release. Discmania made it available to the VIP Club before the general market. The Mortar had not yet been released in Swirly Frontline plastic (the equivalent of Innova’s Swirly Star), so Hyzerbomb made it especially for the VIP Club. Innova had started offering XXL stamping and allowed us to run a limited edition Aviar3 with an XXL (oversized) stamp for the VIP Club. The Punisher has not been released on Z-Glo plastic yet. This VIP edition was the first run on Z-Glo plastic. An extra 100 Aztec-stamped discs were made as budget extras for the VIP Store, where they were much less expensive than typical Z-Glo. The Alpha was such a popular new disc from a new company that they had to make a 2nd run much sooner than expected, so the VIP Club edition was part of that 2nd run of the disc, with a special stamp. The Falk was a new driver by Kastaplast in 2017 and as soon as it was released, we arranged with Kastaplast to make a special run, including a couple of different colors, for the VIP Club. This was the first VIP Club featured disc where we featured a version of the stock stamp with an added Falcon logo graphic. Latitude 64 introduced their “Opto-G” overmold discs in 2017 and we acted early to get in on the first run of the Zion driver, including our own VIP Edition stamp. After meeting personally with the Prodigy crew, we arranged to have a special run of X4 distance drivers made with a lot of special effects and color varieties in the plastic, plus a beautiful stamp. They were serious eye candy, and great to throw. THE STORE: The first big change for 2018 was the migration of the VIP Club Store from a secret website onto the Infinite Discs main website. Now the VIP Club Store can be browsed and shopped by the club members at the same time they shop our huge, general disc inventory. The VIP Club Store features listings for any remaining discs from the monthly features, plus other limited edition discs and prototypes. Some of those special editions are offered exclusively to the VIP’s and sometimes they are listed FIRST to the VIP’s before moving to the general website. This portion of the website can only be accessed by the current club members after logging in. The selection of discs in the VIP Club Store was very small while we explored this feature, but we plan to grow the selection of limited editions and early access discs in 2018 so that it becomes a valuable hangout for VIP members who love to collect and try new discs. DISC TESTERS: As mentioned above, the VIP Club Store will feature prototype discs from time to time. These will be early editions (testing runs and first runs) of new discs that are entering the market. We plan to use the VIP Club members as part of a team of disc testers in 2018. MEMBER DISCOUNTS: The members of the VIP Club now have permanent discounts on the Infinite Discs website for all of their disc purchases. Plus, no shipping is added on the discs purchased from the VIP Club Store section of the website (it is added normally for other, non-club discs). So, as long as the club member is logged in, they’ll get discounts on their orders, for as long as they remain a member of the club! GO DIRECTLY HERE TO SUBSCRIBE RIGHT AWAY, IF YOU WANT! Become a VIP Club member HERE. Infinite Discs has been growing at a very fast pace over the last couple of years, and with that growth comes the challenge of keeping up with the website development and building the features that our customers want. One of the features that has been requested in the past and finally made available to our customers is the NEWLY ADDED DISCS search link. On your computer browser, open the Infinite Discs website, and then look on the right sidebar of the first page to find the link for Newly Added Discs. Or on your phone browser, simply scroll down until you see the boxed menu for Featured Discs and you’ll see the Newly Added Discs link there. Infinite Discs has a lot of customers who are disc enthusiasts, and they want to get the best-looking discs, or the discs that meet very specific specifications, before other shoppers find them. They have asked for a way to see what we’re photographing and adding into our inventory in real time. That is now possible! We’re not yet at the point where we’re adding inventory 24-hours-per-day, but we are usually adding new inventory onto the website during business hours on weekdays. With the Newly Added Discs link you can search for those fresh additions in almost anyway you’d like. Either refresh the page from time to time to see what else has been added in, or select a time period that you’d like to search, along with other specific queries to narrow down your search. You can select to search for the last 7 Days, 10 Days, 15 Days, 20 Days, or 30 Days. Just to warn you, searching the discs added in the last 30 discs could pull up well over 8,000 results. If you want to search back further than that, you might as well search the entire website using the Advanced Disc Search feature, which is an excellent way to narrow down searches of the entire online inventory. Keep in mind that using the Newly Added Discs link will narrow your search to discs entered into inventory within the last 30 days (or fewer) so it will not automatically search the store entire inventory. You can also narrow your disc search by brand, by disc model, or within a weight range, or a combination of all of those factors. Let’s say that I want to see which P2 putters by Discmania are still available from those entered in the last 30 days, but I only want max weight (175g) discs. I can select to search 30 Days, Discmania brand, P2 Psycho as the model, and 175g as my minimum weight. Suddenly, those discs appear and I can add them to my cart simply by scrolling through and clicking the “Add to Cart” button by the discs I want. Be the first to find the treasures that used to take more effort and time! Find what you’re looking for quickly and easily! Or just sit and refresh the screen while we work to add new discs into our inventory. Here is a tutorial video that will walk you through the process. Both discs have been enthusiastically received by subscribers. For those who are interested in joining the club, we have about 15 more subscriber spots available before we reach our limit for the next few releases. At that point, joining will only be possible if a previous subscriber drops out and leaves a vacancy. Monday, July 11th 2016 is the cut-off date to join the club and still be within the payment cycle for disc #2 (Defender). After that date, subscribers will enter into the cycle for disc #3. The discs for the third installment of the series are already at our warehouse and will start shipping very soon. Other discs are planned and are looking like exciting additions to the program, presenting not only a variety of manufacturers, but a variety of disc types as we wrap up the summer and head into the autumn season. If you’d like to read the initial announcement for the Infinite Discs VIP Club, then you can see this previous blog post. You can visit the subscription page here if you are interested in joining while there are still openings. 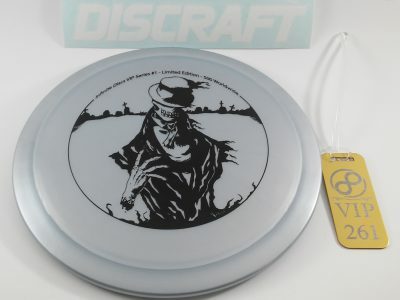 The disc is the popular new UNDERTAKER by Discraft in silver Titanium (TI) plastic. It is the first Titanium Undertaker out there, and it is a wonderful overstable control driver. Of course, the stamp is exclusive, designed by Kimbri, who will be working with a lot of the exclusive VIP discs. Discraft also threw in a nice sticker for subscriber’s vehicles. Also in the initial package to subscribers is a metallic gold VIP bag tag. Each tag is individually numbered. We encourage mutual VIP Club members to challenge other tag holders to friendly games for tag order. Have fun with that! Or, protect your tag if you are skittish about challenges. Regardless, it might be fun to see if you can spot any other VIP players out on the fairways. Or, get your friends who play to join so you can get some VIP club rivalries going with the tag order– that’s what we’re doing here at Infinite Discs (I’m going to win #2 one of these days…you know who you are). If you are interested in joining the Infinite Discs VIP Club, there are still some spots available before we cap the membership for the next few months. If you join before June 11th, then you’ll still get disc #1 shipped to you automatically as your first disc. After that day (Saturday, June 11th) we will enter into the period for disc #2. So, after that point, you would not automatically receive the silver Titanium Undertaker. A few people have asked how many of these discs exist. In answer, it is printed on the disc itself. There are 500 of disc #1. We will NOT make more. The fun of the VIP Club is that we’re keeping each disc as limited editions because we want to see the value go up with time. We want the discs in the hands of the collectors and enthusiasts. We want them to be collectible rarities that you can either hang on your wall, or throw on the fairway. Will the number always be 500? Well…no. We started with a higher number. The next discs will not be as numerous. The future discs will also have the quantity declared on the stamp design.